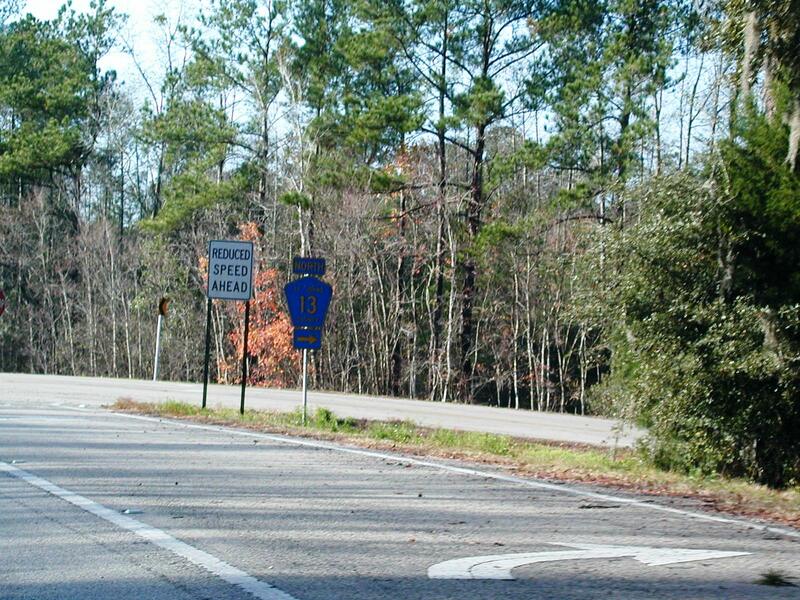 St. John's County Road 13, which used to be FL 13 a while back. 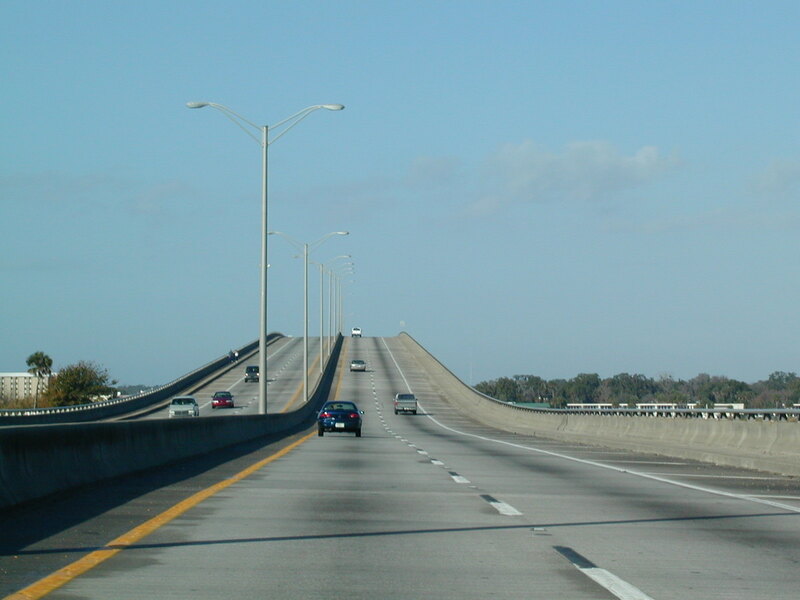 It is a pretty road paralleling the ginormous St. John's River. 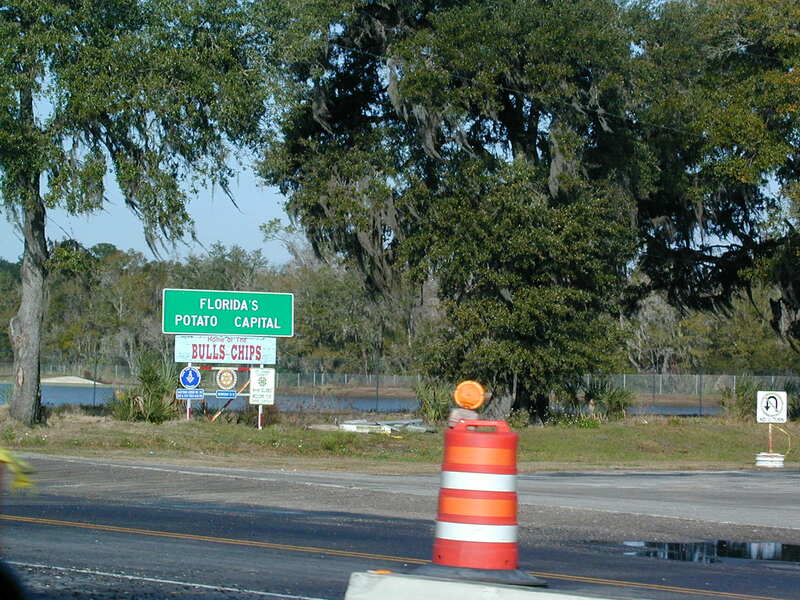 Palatka is home to weird signs like "Florida's Potato Capital" and "Home of the Bulls Chips." I don't wanna know what Bulls Chips are. 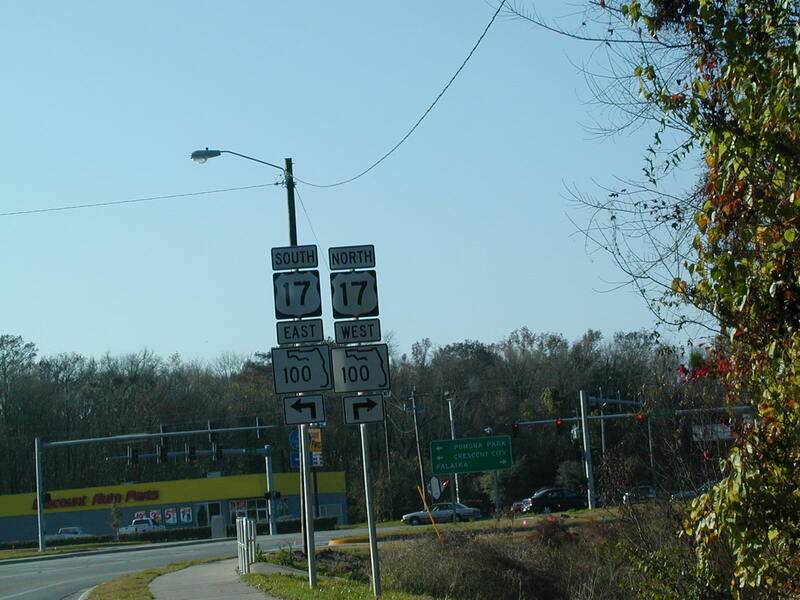 US 17 and FL 100 join the road here. Going up over the St. John's. 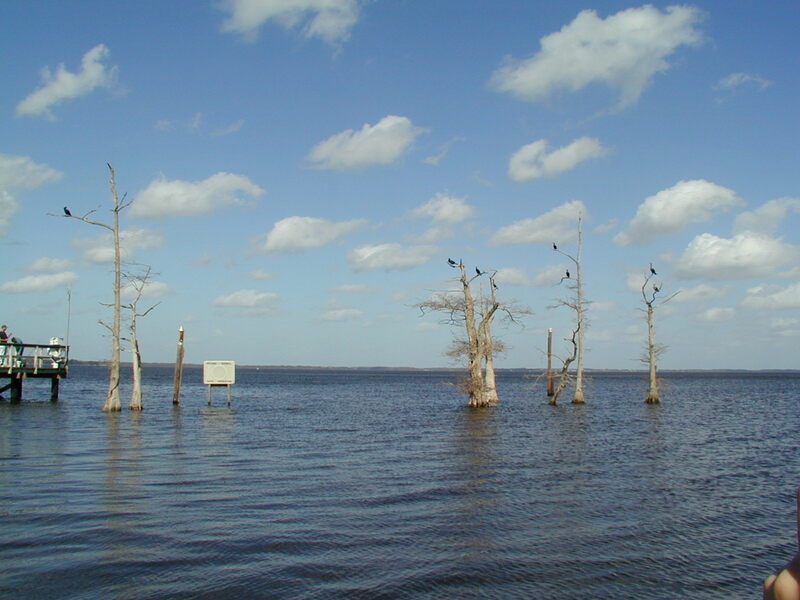 A Palatka scene. 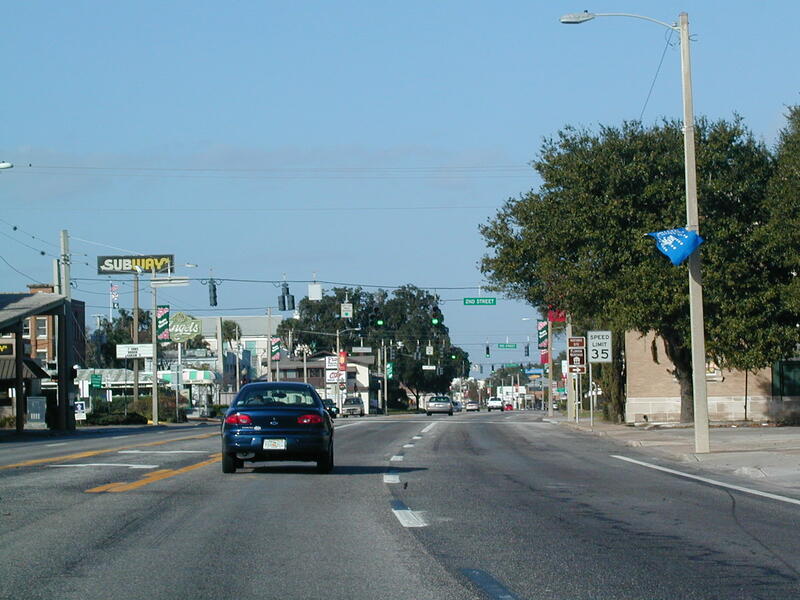 A pair of Palatka shields. 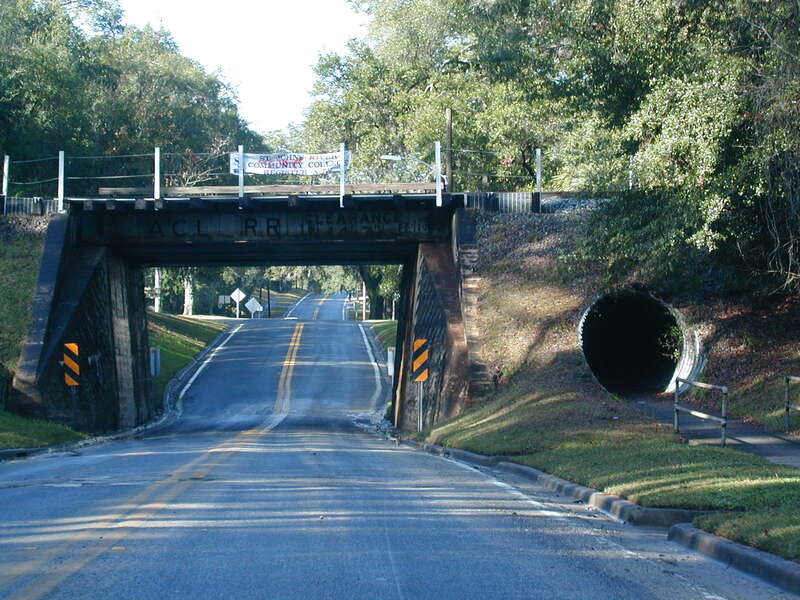 A narrow Palatka bridge with a tubular Palatka walkway. 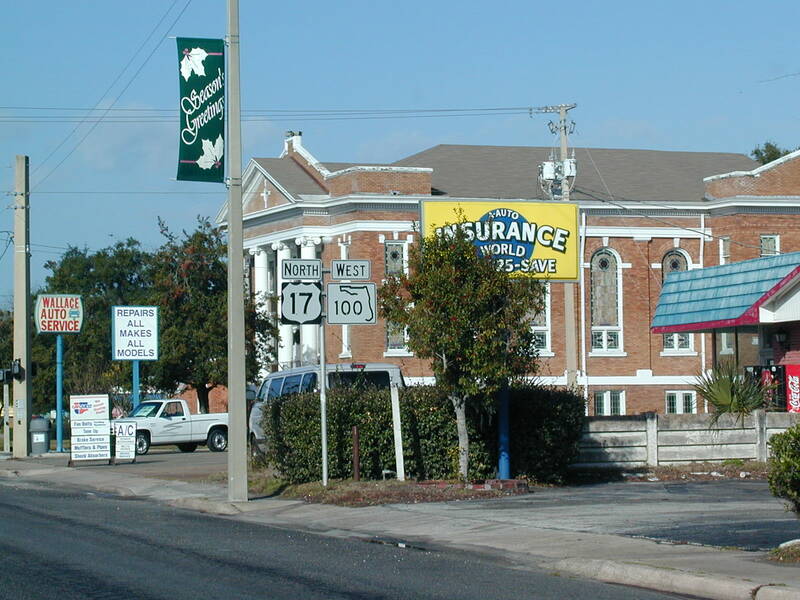 That's gotta be one of the ugliest FL 19 shields EVER. 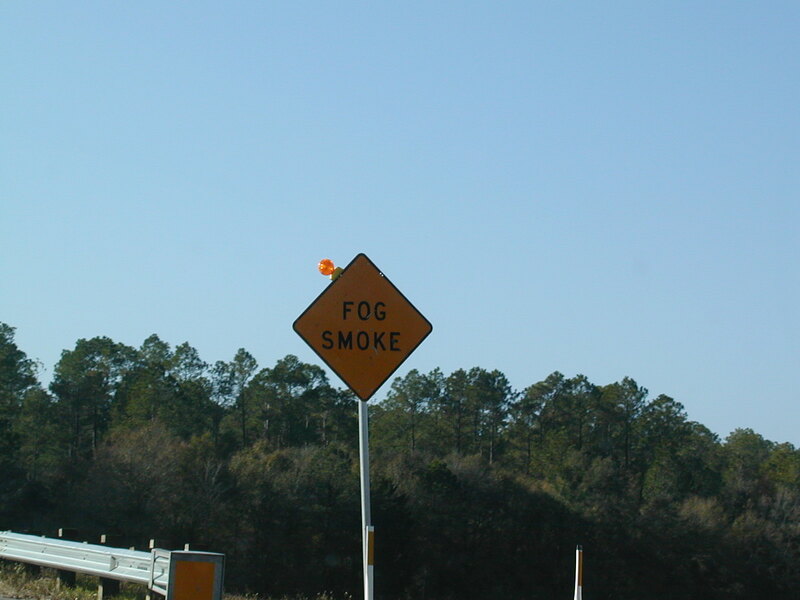 There's fog smoke in this area. 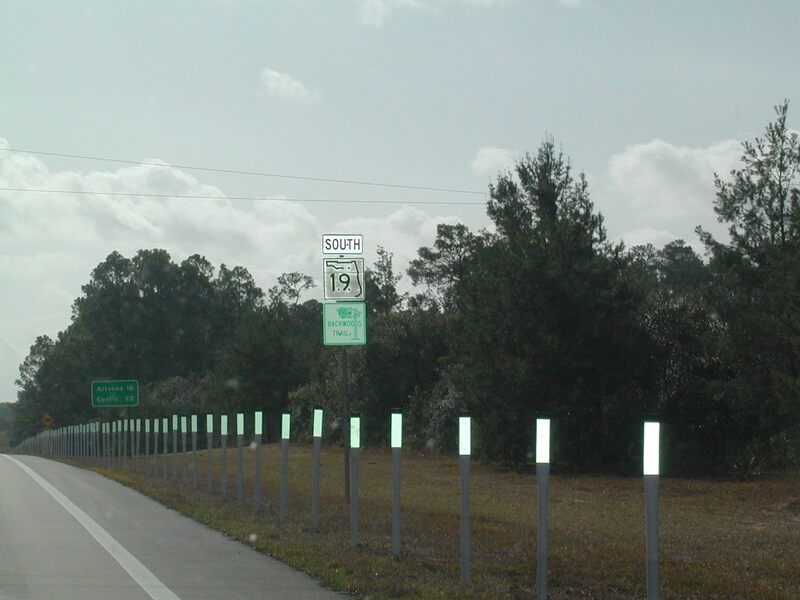 FL 19 South is also the Backwoods Trail. 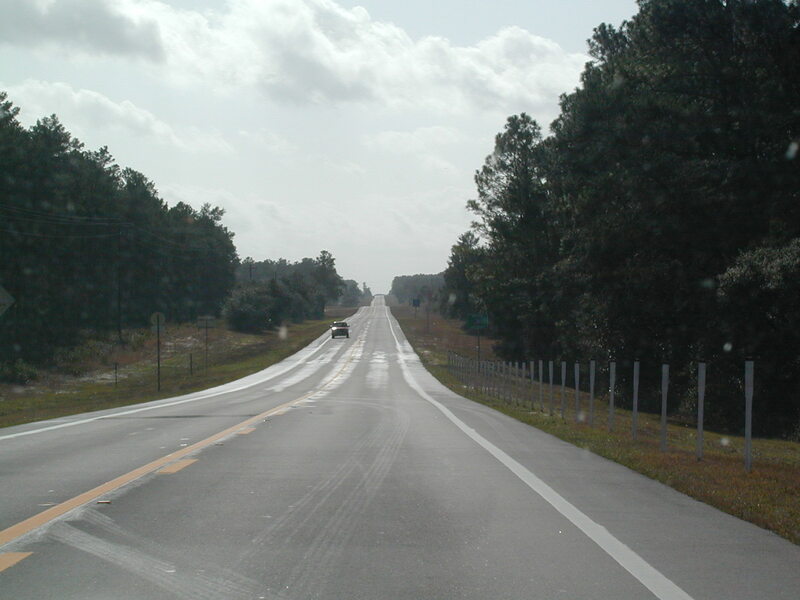 Apparently, this is what passes for scenic in central Florida. There are a bunch of 4s in this by-pass assembly. 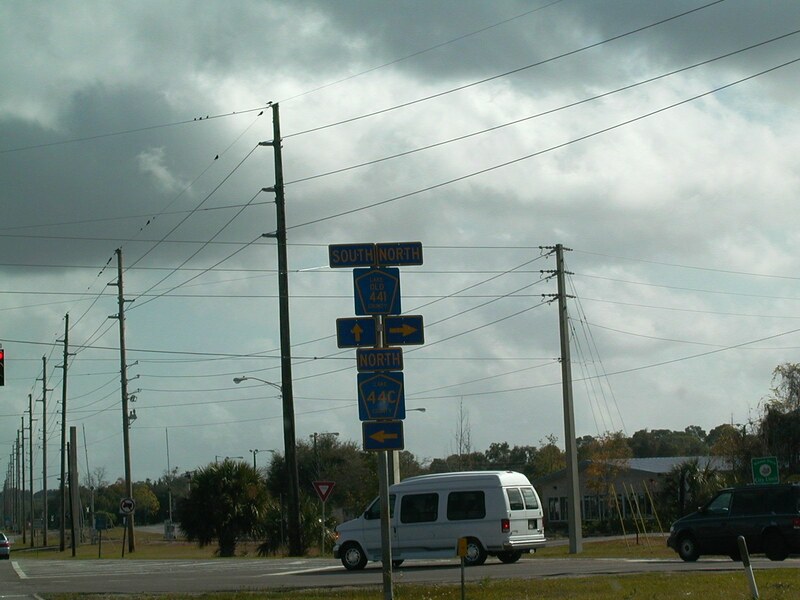 South FL 19 goes to FL 44. 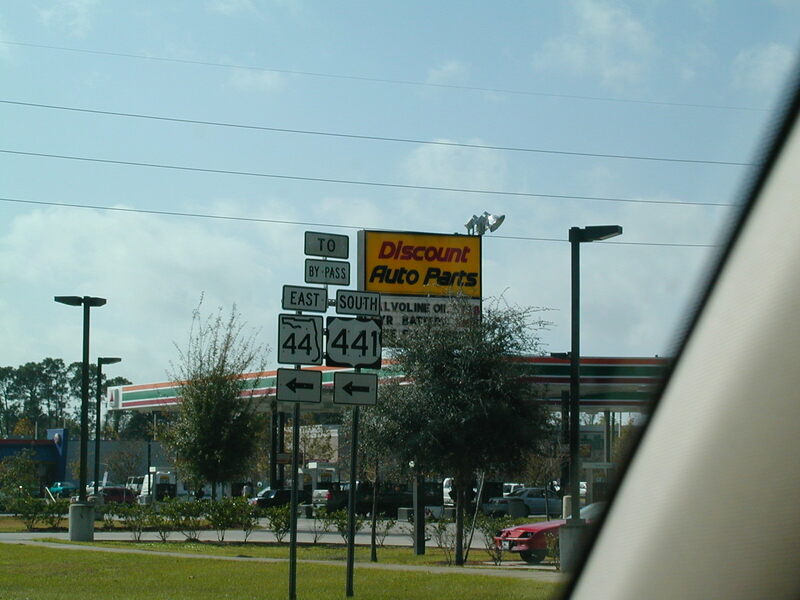 We pick up US 441 at this here interchange. If you look really really closely, you'll see that this CR shield is for OLD 441. 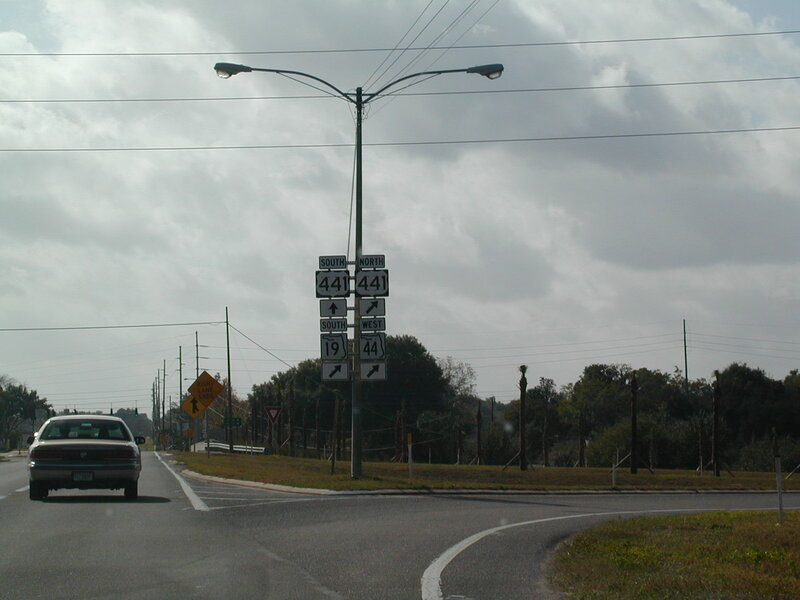 Lake County Old 441. 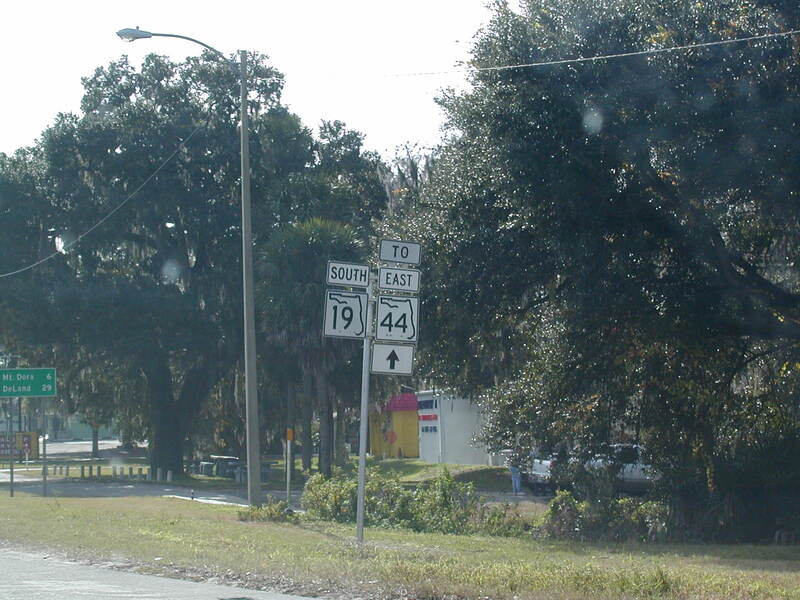 Maybe this is old US 441. 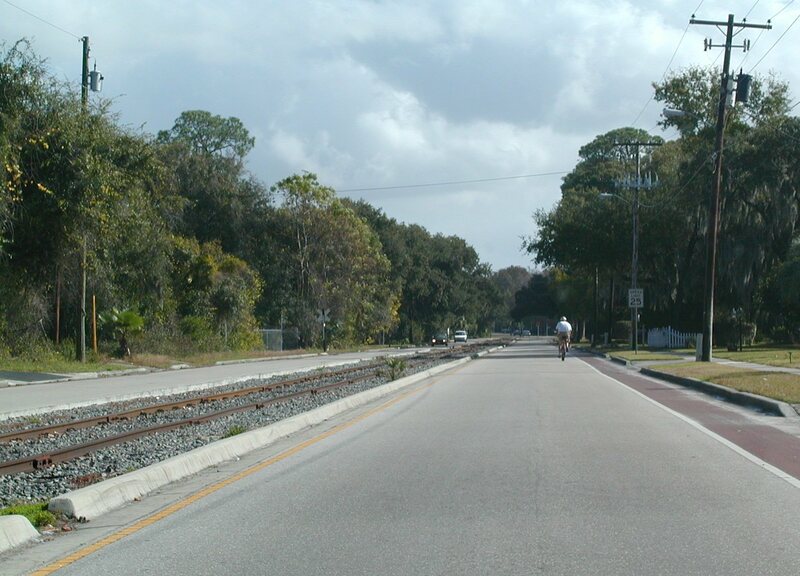 Those are old railroad tracks in the center of the road, and I'm not sure if they're still in use. 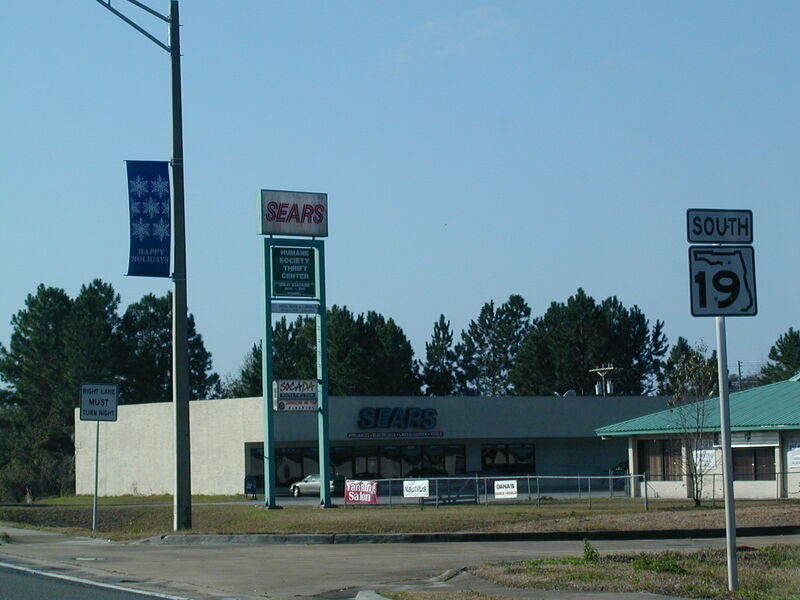 They weren't the day I passed through.